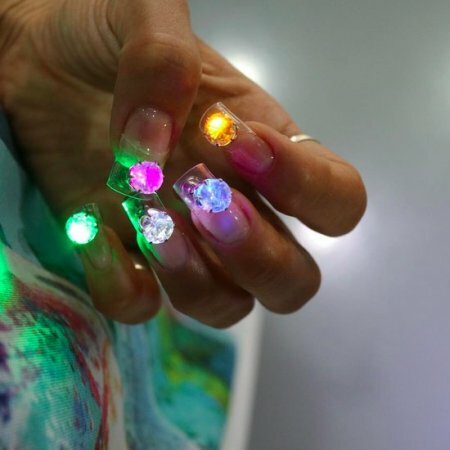 Park Eunkyung, a popular nail technician from South Korea, may have just kickstarted the next big trend in nail art – multi-colored LED disco nails, perfect for drawing attention in the club. 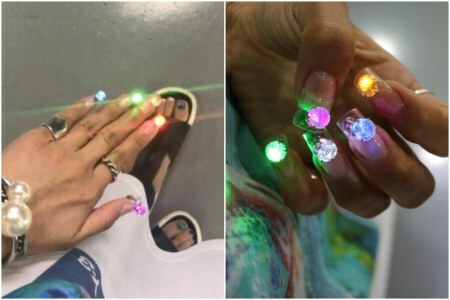 Eunkyung, who has quite a following on Instagram, recently posted a series of photos of her latest nail art idea – fake clear nails with LEDs attached to them. Sounds pretty cool, but tough to implement, at the same time. 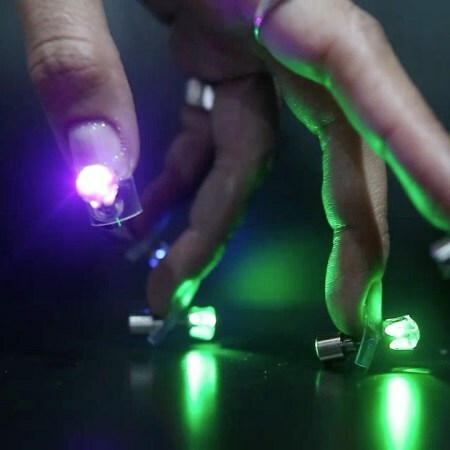 Those LEDs may not need a lot of power, but they do need some power to light up, and unlike those cool LED eyelashes we featured a while back, hooking them to a hidden battery via invisible wires doesn’t really work. Park did come up with a solution, although I dare say it’s not the most practical. 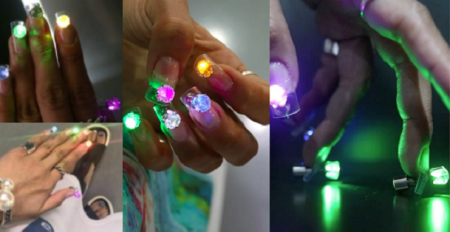 The Korean social media superstar decided on a earring-like design for the unusual LED decorations. 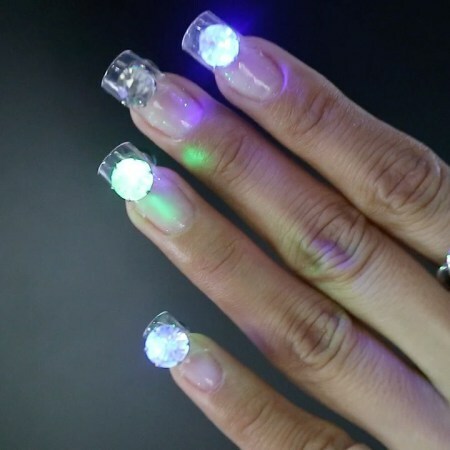 After drilling a small hole through the fake nail, she attaches the glowing gems on the front, and connects them to small batteries on the back of the nail. 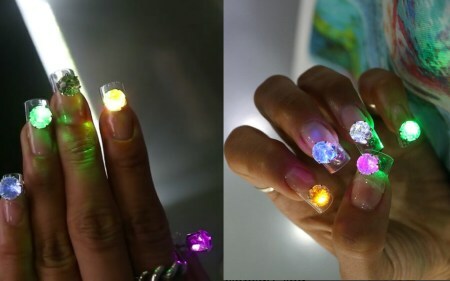 It’s not clear how long the batteries last, or if Eunkyung even plans on putting out a commercial line of LED nail decorations, but people are already going crazy for them. The artist’s photos and videos on Instagram have already been viewed tens of thousands of times, and may end up becoming a thing.